I want to learn to waltz. 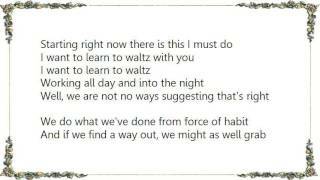 I want to learn to waltz, oh. And there will be, believe me. I want to learn to waltz with you.